Easily anthropomorphized animal photo, ergo comical. Details here. 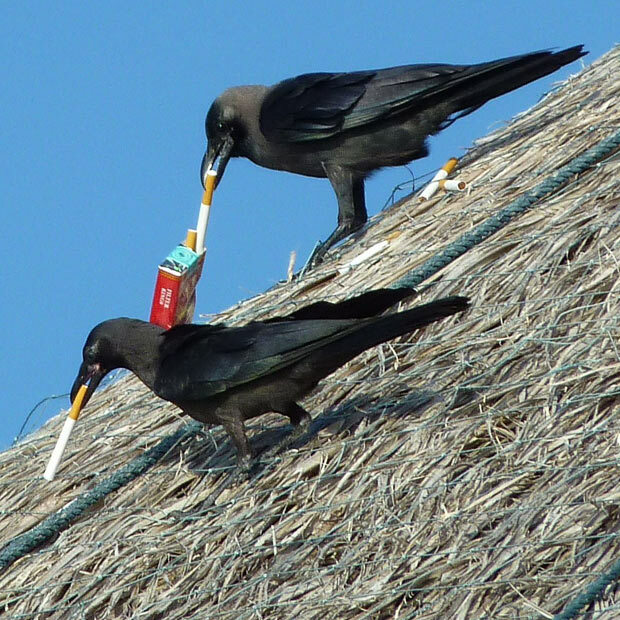 Add that corvids are such striking and impish animals, and that these are perched on what appears to be a thatched or straw roof (in the Maldives, no less), and that the photographer is from Crowborough. There is little more to desire.